The original Nighthawks lineup solidified in mid-1974. 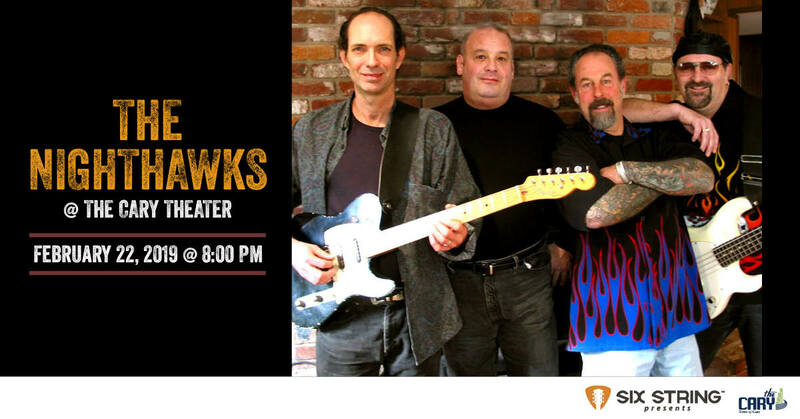 Bringing together frontmen Mark Wenner and the young Jimmy Thackery with a veteran rhythm section, Jan Zukowski on bass and Pete Ragusa on drums, the quartet ruled the highways and honky-tonks until Jimmy’s departure in 1986 to pursue a solo career. The band opened many doors and forged many touring routes for their contemporaries, including the Fabulous Thunderbirds, Stevie Ray Vaughan and Robert Cray, and played with as many Blues and Rockabilly legends as they could. They opened show after show for Muddy Waters, James Cotton and Carl Perkins, and backed up and recorded with John Hammond and Pinetop Perkins.